Politics in Bangladesh is not easy with intermittent military coups and rules since Bangladesh’s independence in 1971. Being a woman in such a scenario doesn’t make things easier. 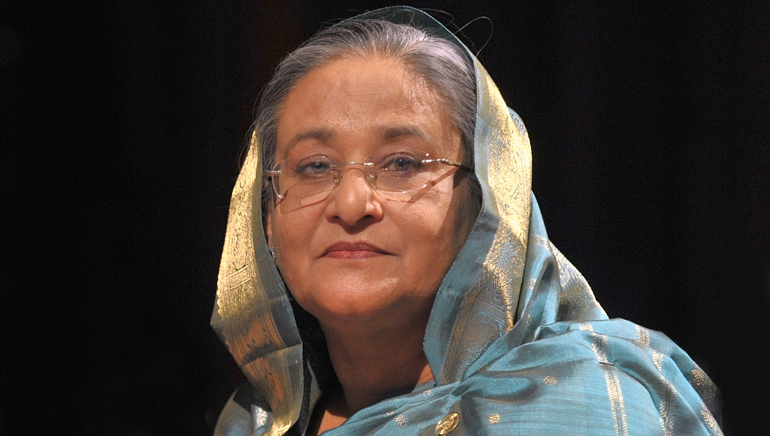 Sheikh Hasina Wazed took up the position of Prime Minister of Bangladesh for the third term in 2014, and has more than four decades’ experience in the field of politics. She is the eldest child of the founding father and the first President of Bangladesh, Sheikh Mujibur Rahman. Hasina was born during the violence of partition of India and Pakistan in 1947, and grew up amidst fear owing to her father’s political association. The year 1975 proved to be an unfortunate year for Sheikh Hasina Wazed, as she lost her family (father, mother and three brothers) in an assassination by several military officers at their residence; she and her younger sister survived as they were in West Germany at the time of the attack. Even after losing her dear ones, this brave soul did not run away from her responsibilities towards the people of Bangladesh. She lived in self-exile in India till 1981, and returned to Bangladesh after the assassination of the then President of Bangladesh, Ziaur Rahman; she was immediately house arrested. However, she resiliently faced the political hostility in her country and eventually emerged a winner.